As tested to ASTM F2412/2413 by Precision Testing Laboratories on January 27, 2014. Right/Left Combined: 6.58 mega ohm. Slip tested to CSA Z195-09 / ISO 13287 by Precision Testing Laboratories on December 11, 2012. These pairs looks like they’re perfect for me, you can get back to by informing me of the price: Blue in color if they come in blue, royal. Size 8.5 or size 9. Blue sounds like a great idea. I will share this with our designer. For now though we are making the Daisy 420092 only in Black. Check your local Marks store for this item. I LOVE these shoes. I have spent the past 15 years trying to find a pair that accommodate a wide foot without having to get them 2 sizes too big to avoid blisters… I, also, would love to see them in alternate colors, but believe me, I will likely never buy another type of shoe as long as I have to wear steel toes. Thanks so much for your comments on our Daisy 420092 and thanks for discovering Mellow Walk. I’m glad that you noticed how well our shoes fit. We believe our fit is what separates Mellow Walk from other safety shoes. And thanks for mentioning color. We are adding colors when we can. In fact this past spring we offered Daisy in a gorgeous red leather. We have a new collection of women’s shoes coming this fall. I think this collection, in particular,will go well with a uniform. I will post to our website in the coming months. Thanks. Why don’t you check Work Authority? They carry most Mellow Walk, as well. I’ve decided to try to find Canadian manufacturers for all the products I buy. I am having a hard time finding ordinary shoes made in Canada. I like the look of the Daisy, but I don’t need a safety shoe. Do you make any regular shoes? Hi Laurie our plan is to make Daisy available without a steel toe as early as this spring. Please sign up for our newsletter to keep in the loop. why did use quuit making the daisy work shoe? I really liked that one!!! I was looking through the men’s shoes when I noticed a new material and would like to know why all the woman shoes are made with steel and not the lighter material? 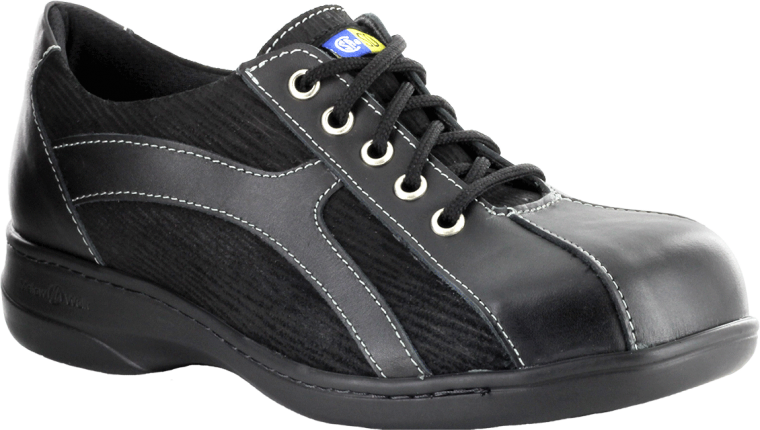 Mellow Walk offers safety shoes incorporating both steel-toecaps and plastic (composite toecaps) for men and women. 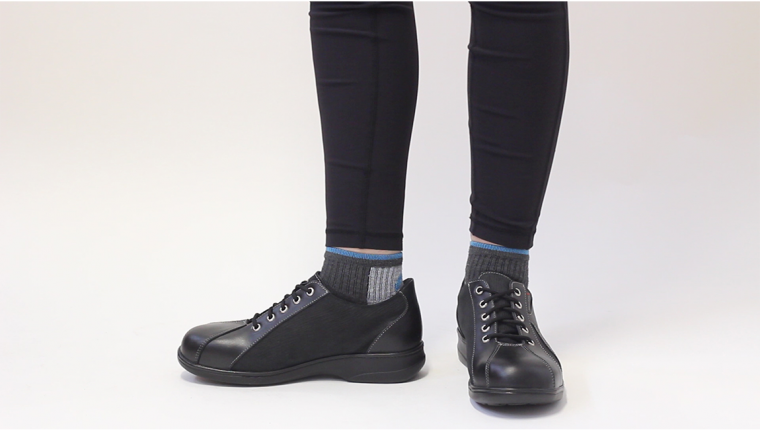 The women’s plastic toecap was just launched (currently available at Mister Safety Shoes and Work Authority) and the website will be updated soon to reflect these options. Thanks for writing. 1. What material is the counter (main body) of the shoe made of? It doesn’t really look like leather from the picture. Mainly, is it wipe-able or more like a nubuck? 2. Can you remove the insole? Great questions. The upper is a combination of leather and the main panels are a brushed nubuck. It is not a smooth leather so if you require a wipe and wear safety shoe you may wish to consider either the Daisy slip-on 424092. Either good lace up models include Jamie 4098 or Maddy (ESR) 492049. 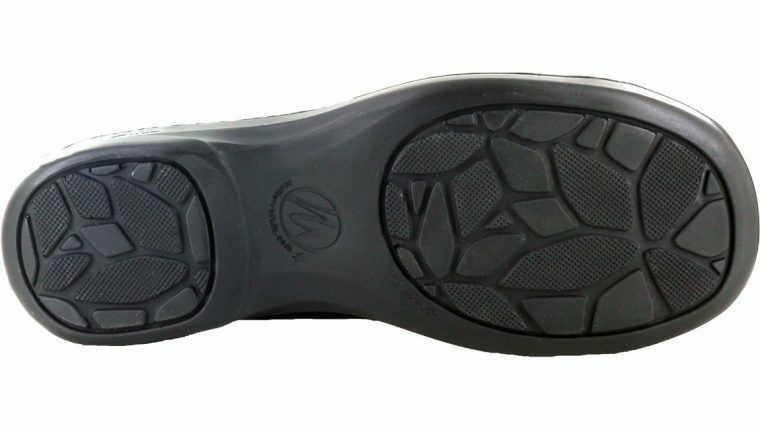 All of our Daisy safety shoes have removable insoles. Thanks. Yes we do. Our Vanessa line of safety shoes is D width. You can see it here. Thanks. Went to Marks to replace my well worn and heavy work shoes. I was set on buying some Dakota work sneakers and decided to try on your Daisy lace ups. I was pleasantly surprised by how light and comfortable they are – even with my heavy winter socks. So I’m now the owner of my first pair of Mellow Walkers and by reading other reviews I’m sure they won’t be my last. Hi Cherie congrats on joining the MW family. I’m glad that you are happy with our Daisy lace up. Thanks for taking the time to write to us. I bought a pair of these just before the start of our busy season. We work 10 hours a day, seven days a week for just over six weeks. These shoes were one of the most comfortable shoes I’ve had (the other being a different one of your shoes). I’ve noticed a few more of my co-workers wearing them and I will continue to recommend them if anyone asks about work shoes. I’m hoping that you will soon have shoes without steel toes for everyday wear. That’s awesome. You have really put our Daisy 420 through a comfort test. I’m glad you raised the idea of non-steel-toe walking shoes. It is something we are considering. Thanks. I have had the Daisy 420092 for 2 yrs and put my custom made insoles in them. I thought I would NEVER find a work shoe that wasn’t heavy, toe pinching or stiff. (Key harp & angel music)… Then I saw the sales lady wearing a cute pair of shoes & commented on them. She was wearing the Daisy 420092. They are required to wear safety shoes and she said they were very comfortable. The most comfortable shoe she had worn for work. I tried on her shoes and ordered on the spot! I used to have terrible plantar fasciitis in both feet and slept with braces on both feet. Since I wore these shoes, I have no foot pain, knee aches or leg fatigue. I’m getting ready to buy pair #2 even though my original pair is still perfect. THANK YOU For THESE SHOES! Heavenly! What a great endorsement. And yes I think I do hear angels singing. Thanks for sharing. Are these ASTM F2413-05 certified? Yes Daisy is certified to ASTM standard for steel-toe / SD. If you need help finding wear to buy please feel free to contact our customer service: feedback@mellowwalk.com. Thanks. I loved this design and I loved the fact that I could get them in WIDE in my size 10 1/2! that is extremely unusual. however, they don’t have a good insole, so if you have to be on your feet for any period of time, these are not good. Also, I’ve only had mine for 5 months and didn’t wear them every day, but the shoe string eyelets are rusting…not good. Thanks for the honest feedback. I will certainly pass this along to our design and production teams. I am concerned to learn of rusting on the eyelets. If you wish to please email a photograph of the rust and I will forward to our team. Email: feedback@mellowwalk.com. Thanks so much. I bought these off the truck that comes once a year to the company I work for. I bought them 2 years ago, they are the most comfortable steel toe shoe I have ever worn. I just purchased another pair today. The only thing I would like to see is maybe a white color for summer. There has been no rusting of the eyelets at all. After 2 years, the only thing I had to do was replace the inserts. I work on concrete, 12 hours a day 6-7 days a week, so you can see, I gave the shoes a workout! Please let me know if they will be offered in more colors. They run true to size. Thanks for taking the time to write. I’m glad our Daisy shoes are working out so well for you. A second colour is a great idea. I will speak with our design team about that.